Spring is near and it’s time you start prepping up your home for the new season. Unfortunately, after the long winter months there is lots to be done. You don’t know where to start? We have a suggestion for you! Start by dialling the number of our cleaning company, located in North London! Ask any of our customers and they will tell you the same thing – our professional cleaners are diligent, hard-working and pay attention to the smallest details; they are well-trained and work with of eco-friendly, non-toxic products to ensure your home is spotless from top to bottom. 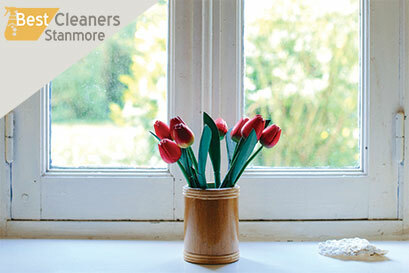 We provide full high-quality Spring Cleaning services in North London. If you don’t have the time or products to thoroughly clean and prepare your home for the warm months that follow, give our company a call. An outline of our cleaning services includes: cob removal, cleaning of large electronic appliances, dusting ceiling fans, window ledges and furniture, cleaning mirrors and shining chrome, scrub and clean toilets, showers, tubs and sinks, mould removal, empty trash bins in all rooms, carpet vacuuming, floor mopping, curtain washing, soft furniture cleaning and change of bed covers and linen. We are proud to say we have taken spring cleaning to a whole new level! The maids we work with are veteran cleaners who use only non-toxic products to ensure the safety of your children and pets. Our excellent service will make sure you love working with us and will turn you into a regular customer – one of the many we have! We realize how cumbersome spring cleaning can be and we wish to relieve you of the task. Call us to make an appointment and we’ll make your life much easier! Not to mention you’d be overwhelmed when you see the final result! © 2019 Best Cleaners Stanmore. All Rights Reserved.